Raising funds for a start-up that plans to operate in outer space can be a challenging task. 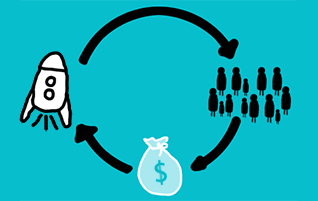 Crowdfunding leverages the power of your network to gather support for new ventures, both financially and otherwise. Several NewSpace companies have successfully used crowdfunding campaigns to launch their operations. For this event, we’ve gathered together a panel of crowdfunding experts to discuss the different types of crowdfunding, the pros and cons of each approach, successful approaches for launching your crowdfunding campaign, and how crowdfunding can be used to finance a space start-up.